I wrote another book called, “Dating for Life.” It has VERY little relationship to my upcoming book, Renegade Pawn. 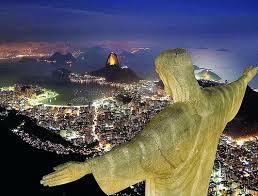 It’s an international crime thriller about overcoming adversity in the slums of Rio de Janeiro. “Dating for Life” is a self-help non-fictional book that offers the Four Keys for setting up a great date. Without getting into details, I will offer a spoiler alert. No human being can make another fall in love. There is no alluring outfit or exotic perfume that will seal the deal. Through a twist of fate Daniel Burke, a character in my thriller series, is inalterably linked to Gabriela Serrano, and they quickly tumble into an intense dynamic. Certainly the sultry sea breeze and coral sunsets didn’t hurt, nor did the breathtaking views from Sugarloaf Mountain. But when their hot date intersects with a crime gone wrong and Lucas Rochas enters their lives, there is no turning back their destiny. Amidst the glorious landscapes of Rio de Janeiro where the statue of Christ the Redeemer on Corcovado Mountain forgives the millions of people below, Daniel Burke also risks his life so that Gabriela might live. What would you do in his shoes? Sometimes good people do bad things for the greater good. Stay tuned for the first book in the series that launches on September 7th, 2018. Download the first six chapters for free. CLICK HERE.